Have you ever needed a particular type of document like a contract of lease but did not know where to start? If so, you might have looked to order templates online or purchase them at an office supply store. Docstoc, a Los Angeles-based startup, might be able to help as it just launched at TechCrunch40 to offer a repository for user contributed documents. Dubbed the "YouTube for professional documents" by some, Docstoc enables users to upload just about any document type (Word, Excel, PowerPoint, Adobe Illustrator or PDF) and display it on any website as a Flash include. With Docstoc you can find anything from contracts, lease documents to college term papers free of charge. Docstoc's current competition includes Scribd and potentially ThinkFree as they both offer online document services. It is also worth noting Docstoc just recently closed a round of Series A funding. 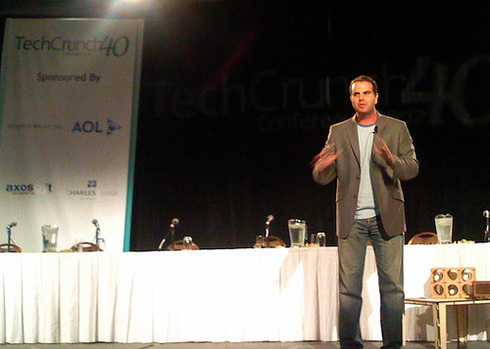 According to chief executive Jason Nazar, the round was lead in part by Scott Walchek the early stage VC in Baidu, Brett Brewer one of the co-founders of Intermix Media the parent company of MySpace, and Robin Richards the founding President of MP3.com. The amount was undisclosed. Check out this video demo for the pre-beta launch back (keep in mind this is from March 2007).